I often receive questions from readers about how to get started with the Hashimoto’s journey, and which products I use in my day to day life. I created this page as a one stop shop that can hopefully point you in the right direction to helpful resources. If you have additional resources you’ve found helpful, please submit them here for consideration. Taking charge of your own thyroid health involves educating yourself, finding a like-minded practitioner that can help you, getting labs to determine your current thyroid function and potential triggers, using supportive supplements, cleaning up your home routine and optimizing your nutrition! Over the last few years I’ve put together a list of resources to help you, no matter where you are in your thyroid journey! 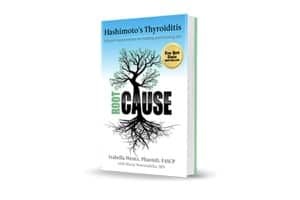 Root Cause Book – A groundbreaking manual that will provide you with a roadmap to identify and remove the triggers associated with causing thyroid autoimmunity, Hashimoto’s, and hypothyroidism. Hashimoto’s Protocol Book – This book offers a practical pathway for healing and reversing the autoimmune damage at the root of the disease. It includes a quick-start two-week detox, advice on supplements to support the liver, an adrenal recovery plan, a personalized plan with foods, supplements, and other lifestyle interventions, tailored to each body’s own unique Hashimoto’s triggers. 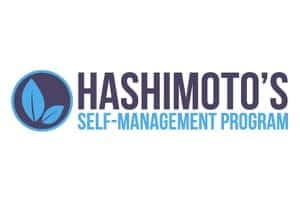 Hashimoto’s Program – The Hashimoto’s Self-Management Program is a step-by-step plan to help you navigate your thyroid or autoimmune journey. Course modules include: Testing, Mindset, Medications, Liver Support, Food, Nutrient Depletions, Antibodies and Nodules, Adrenals, Dental Triggers, Infections, Gut Healing and Next Steps – all designed to help you take charge and restore your health. One of the most common questions I receive from readers is regarding finding practitioners that can help them on their health journeys. Here is a Practitioner Database submitted by my readers! Please feel free to submit a practitioner if you have had success with your own clinician. The GI Pathogen Screen with H. pylori Antigen stool test (for gut infections) and HPA Stress Profile test (for adrenal issues) are especially helpful. Eradicating gut infections can reduce symptoms and put Hashimoto’s into remission, balancing adrenal hormones helps with overall hormones, energy, mood, sleep as well as many other symptoms. Elimination of reactive foods can eliminate symptoms and reduce thyroid antibodies. The Alletess Food Sensitivity Tests are the most helpful and accurate tests I’ve seen on the market. While Synthroid continues to be one of the most commonly prescribed drugs year after year, it’s not always the best drug for each thyroid patient! I recommend working with a clinician that can help you get the right types of thyroid hormones for YOU, whether that’s T4 therapy, T3 therapy, natural desiccated thyroid (NDT) or compounded thyroid. I created an eBook about optimizing thyroid hormones to help you to find the ideal balance of thyroid medications that makes you feel your absolute best. The compounding pharmacy database can also help you find a pharmacy you can trust to deliver the right type of treatment to you! Nutrient deficiencies are a frequent occurrence in Hashimoto’s. As some of the root causes that can trigger Hashimoto’s can be somewhat elusive, addressing nutrient depletions is usually pretty straightforward. Best of all, when we address nutrient depletions, we can feel better really quickly, even when other underlying root causes are still present! There are a number of factors that lead to nutrient deficiency, such as taking medications, food sensitivities, poor digestion, gut infection, an altered gut flora, malabsorption, eating conventionally grown foods, and even hypothyroidism itself can lead to nutrient depletions. Selenium deficiency has been identified as an environmental trigger for Hashimoto’s. A dose of 200-400 mcg per day has been found to reduce thyroid symptoms and Thyroid Peroxidase Antibodies (TPOAb) by about 50% within 3 months! It can also help people with Hashimoto’s-induced anxiety feel calmer, grow their hair back and reduce brain fog. Patients do not generally need to measure selenium levels as lab measurements are not usually reliable. Thiamine, also known as B1, is a vitamin that has been found deficient in people with Hashimoto’s and Crohn’s disease. A dose of 600 mg per day has been found to improve fatigue and low blood pressure around in 3 to 5 days. Thiamine promotes energy and digestion, stimulates the production of red blood cells, works as a powerful antioxidant, and so much more. Patients do not generally need to measure thiamine levels as lab measurements are not usually reliable. Magnesium can help with making you more calm, reduce stress, help with promoting healthful sleep, and prevent the incidence of headaches and menstrual cramps. I recommend a dose of 400 mg or 1 to 4 capsules daily, with meals. Be sure to space it apart by at least 4 hours from thyroid medications, as magnesium can block their absorption. If loose stools are an issue, you may want to consider Magnesium Glycinate. Patients do not generally need to measure magnesium levels as lab measurements are not usually reliable. Vitamin D deficiency is more commonly found in people with Hashimoto’s and may be a factor in causing autoimmune disease. I generally recommend a dose of 2000 IU to 5000 IU and spending time in the sunshine to get Vitamin D if you have Hashimoto’s. Vitamin D supports the immune system, is good for bone health, improves cognitive function and supports a positive mood. Patients should measure and test their blood levels before supplementing. Vitamin B12 helps with our energy production while reducing fatigue, helps maintain a healthy digestive system, is essential for healthy hair, skin, and nails, and low levels are commonly associated with Hashimoto’s. I find a dose of 5000 mcg daily for 10 days, then 5000 mcg weekly once per week for 4 weeks, then 5000 mcg monthly for maintenance to be very helpful. Be sure to use the sublingual version—swallowing B12 may result in inadequate absorption. Patients should measure and test their blood levels before supplementing. Ferritin is our iron storage protein. Low levels are commonly associated with Hashimoto’s fatigue, hair loss and shortness of breath. Take 1 to 3 capsules daily in divided doses with meals, and keep out of reach of children and pets. Ferritin helps maintain your immune system, plays a major role in the storage of iron in the cells, and helps improve energy. Patients should measure and test their blood levels before supplementing. All three of these nutrients can be tested via Ulta Lab. Protein deficiency and malabsorption is a frequent occurrence in Hashimoto’s and hypothyroidism and may lead to deficiencies in important amino acids such as L-tyrosine (a component of thyroid hormones) and L-glutamine (a component of gut cells), leading to hypothyroidism and intestinal permeability, respectively. In order to address this issue, I recommend a high-quality hypoallergenic protein powder and protein digestive enzymes. High-quality hypoallergenic protein powders – Most protein powders on the market contain soy and dairy, which are very reactive proteins for people with Hashimoto’s. Egg white proteins are less reactive, but unfortunately, those with Hashimoto’s who start using them often find themselves with new-onset egg reactions, because egg whites are difficult to digest for people with intestinal permeability.The protein powders that are best tolerated by people with Hashimoto’s are pea protein and hydrolyzed beef protein. Both are hypoallergenic and easy to digest. You can add them to your Root Cause Green Smoothies. I recommend using the pea protein for cleansing (Liver Support Protocol) and the hydrolyzed beef protein for building (Adrenal Recovery and Gut Balance Protocols). 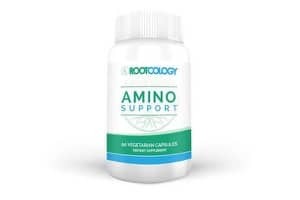 Rootcology AI Paleo Protein – Hydrolyzed beef protein offers a special advantage, as it is less likely to cause new food reactions due to the hydrolysis process, which breaks the protein into tiny pieces. Surprisingly, hydrolyzed beef protein is very tasty. It doesn’t taste like beef but has a slight milky taste. 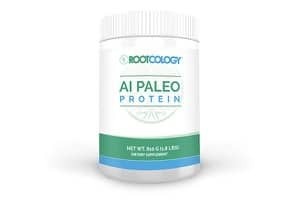 I’ve developed the Rootcology AI Paleo Protein to contain hydrolyzed beef protein that is free of any fillers and compliant with even the strictest autoimmune protocol. 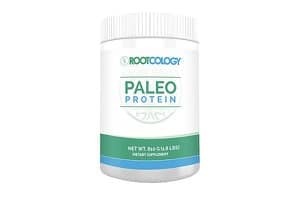 Rootcology Paleo Protein (Vanilla) – This is a great-tasting vanilla-flavored protein powder, yielding 21g of protein per serving. It contains HydroBEEF™, a highly concentrated, pure beef protein. 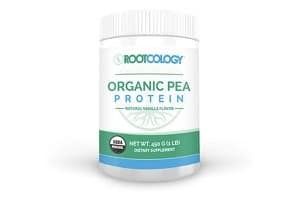 Rootcology Organic Pea Protein – This organic, natural pea protein isolate is a true vegan protein which has high bioavailability and excellent digestibility. Pea protein is controversial in the traditional Paleo diet, but it will be included here because it’s a hypoallergenic protein for people with Hashimoto’s and is well tolerated by most. I recommend using this for cleansing (ie. during the Liver Support Protocol). 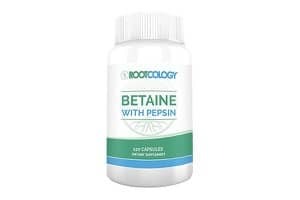 Betaine with Pepsin – Derived from beets, Betaine HCl and pepsin are naturally occurring components of the gastric juices that increase stomach acid and break down protein bonds in our food to make nutrients and amino acids more bioavailable. They are especially important for proper absorption of protein, calcium, B12, and iron. Taking betaine with pepsin while eating protein-containing meals can really support your digestion and boost energy. As a bonus, it can also help break down homocysteine, which is tremendously helpful for those with MTHFR gene mutations. As a pharmacist, I am well aware that all supplements are not created equally. I have access to numerous high quality supplements, and have spent a great deal of time researching and testing various brands. Furthermore, all Rootcology supplements undergo third-party testing to ensure that the ingredients on the label are safe, effective, and match what’s actually inside the bottle. 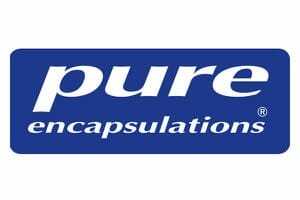 In addition to my own line of supplements, I have personally decided on the Pure Encapsulations brand for my health needs. 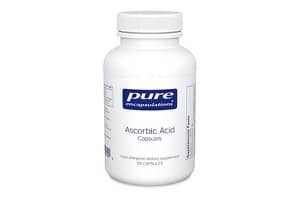 Pure Encapsulations supplements are normally only available through healthcare professionals, however, the company has allowed me to set up an online store to better serve our community. You can find my recommendations and my PureRXO store here. 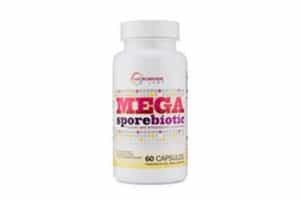 Megasporebiotic – This spore-based probiotic has a unique mechanism of action, which allows it to directly modulate the gut microbiome. Spore-based probiotics have shown promise in various autoimmune diseases and in reducing allergies and asthma. Clients and colleagues with Hashimoto’s have reported the following after using MegaSporeBiotics for thirty to ninety days: a reduction in thyroid antibodies, an improved mood, less pain, better bowel movements, more energy, and a reduction or complete elimination of food sensitivities. 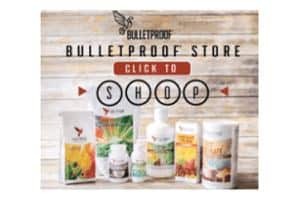 Bulletproof – Supplements, foods, and technologies that are the purest you can get anywhere. I really love the collagen protein, sourced from pasture-raised cows, for my hair and skin. As a bonus, it also promotes bone and joint support! 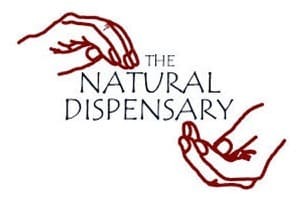 Natural Dispensary for the UK – The Natural Dispensary is based in the UK, but ships to most of Europe. They offer a wide range of all-natural supplements. Use “Izabella Wentz” as referring practitioner to get many of the supplements I recommend sent to Europe! A diet that focuses on nutrient-dense foods and excludes inflammatory foods is one of the keys to healing your body from the impacts of Hashimoto’s, autoimmune disease and nutrient deficiencies. While everyone may have their unique dietary preferences, needs and sensitivities, I’ve found that the gluten-free diet, Paleo diet and the autoimmune Paleo diet are some of the most helpful dietary templates to start, in fact up to 90% of people can feel significantly better utilizing these dietary templates and will see improvements in weight, energy and hair, as well as improvements in objective thyroid markers, like a reduction in thyroid antibodies after 3 months of following these types of diets. Getting started is the hardest! If you’re looking for help with starting on one of these diets or just for some great recipe ideas, I recommend the following tools and resources. My Hashimoto’s Food Pharmacology Cookbook – 125 delicious recipes with thyroid-supporting nutrients, strategies for making diet changes an easy part of your life, tips for revamping your kitchen and pantry, and protocols that will help transform your body into a safe place so that it can receive the food you need to heal. My Root Cause Recipes and Meal Plans – 6 weeks each of Paleo and Autoimmune Paleo, plus 2 weeks each of Low FODMAP and Anti-Candida. Part-Time Paleo Cookbook by Leanne Ely makes going Paleo fun, easy, and delicious with dozens of ideas, suggestions and recipes. Autoimmune Paleo Cookbook by Mickey Trescott arms you with information and advice to help anyone integrate the Autoimmune Protocol into their routine! Vitamix – Vitamix blenders are built to last and come with full warranties—great for blending “green smoothies,” heartier recipes, chunky salsas, thick vegetable soups, and more! Roaster – The Graniteware 15-Inch Covered Oval Roaster, 13″L x 9″W x 3.5″H, is great for cooking your Thanksgiving turkey or roasting any meal, because it browns better and cooks more evenly than foil roasters. Omega Juicer – Easy-to-use masticating juicer with a powerful motor. 110 V; 15-year warranty is great for newcomers to juicing and experts alike. Slow Cooker – Hamilton Beach 33564 IntelliTime Slow Cooker 6-Quart, adjusts cooking time to your schedule. Select a long cooking time and the temperature rises slowly; select a short cooking time and the temperature rises quickly, or select manual heat, warm, low, medium, or high, without setting a time. Instant Pot – Instant Pot 6 Quart, 6-in-1 Multi-Use Programmable Pressure Cooker, Slow Cooker, Rice Cooker, Sauté, Steamer, and Warmer lets your cook all of your favorite dishes just by pressing a button. Travel Blender – Hamilton Beach Personal Single Serve Blender with Travel Lid is great for fruit smoothies, icy drinks, shakes and more, and the travel lid lets you drink from the jar so you can blend and drink in the same jar for less mess. Fermenting Crock Pot – Nik Schmitt Fermenting Crock Pot; 10 Liter, is suitable for all types of vegetables. Fermented vegetables adds good bacteria to your gut and adding fermented foods to your diet gives you a healthy dose of probiotics. Spiralizer – Paderno World Cuisine 3 Stainless Steel Blade Vegetable Slicer / Spiralizer, Counter-Mounted creates healthy and visually appealing meals or side dishes in minutes! The spiralizer is the perfect addition to anyone’s kitchen, including those with special diets like paleo, vegan, vegetarian, and diabetic. Spiralized food items can be eaten raw or cooked. Yonanas – Yonanas 901 Deluxe Ice Cream Treat Maker Bundle instantly turns frozen fruit and other flavorings into a delicious and healthy soft-serve treat with the texture of frozen yogurt or soft-serve ice cream. The chute accepts berries, sliced mango, or cantaloupe along with frozen banana for a silky-smooth confection. Paleo on the Go – Farm fresh, fully prepared, frozen paleo and autoimmune protocol meals hand-crafted by their executive chef and delivered directly to your doorstep, saving you time and offering a healthy alternative to cooking when you’re running late. Trifecta – Paleo, clean, vegetarian, or vegan meals shipped directly to work or home. Enjoy fresh, healthy meals right away, keep meals refrigerated for up to two weeks or frozen for up to six months. Flavor Chef Bone Broth – Beyond the flavor, this go-to bone broth in chicken and beef is great for healing the gut, boosting the immune system, and rejuvenating your tired joints. (Receive 10% off using code Thyroid10). US Wellness Meats – The finest grass-fed and organic meat with no antibiotics or growth hormones, that are rich in nutrients and higher in essential vitamins and minerals. You can buy a variety of organic meats and poultry, including beef, bison, lamb, pork, rabbit, chicken, and duck. They also have a selection of wild-caught seafood. Vital Choice Seafood and Organics – is a trusted source for fast home delivery of the world’s finest wild seafood and organic fare, harvested from healthy, well-managed wild fisheries and farms. They are a leading source of pure, healthful, sustainable foods, and omega-3 supplements. Paleovalley Snacks – Products created with integrity that are free from problematic ingredients and are teeming with ingredients that promote vibrant health. They contain less fat than in many name-brand snacks, have no additives, and are naturally good for you. Dry Farm Wines – Natural and organic family farmed wines that are low in alcohol, statistically sugar/carb free, low in sulfites, and additive free. Bulletproof Coffee – Environmentally conscious and ethically sourced coffee that has a massive impact on your energy and cognitive function. 2Good2B Bakery – Gourmet gluten, corn and soy free foods for people with food sensitivities so you can enjoy a renewed and improved level of energy, vitality, and happiness! Kombucha Kamp – Kombucha Kamp offers products, supplies, recipes and more, for making fermented foods that help with digestion, immunity and good gut health. Desert Farms Camel Milk – Camel milk is the safest animal milk for people with cow’s milk sensitivity. It also has potential gut healing properties. Also available in the UK at Desert Farms Camel Milk UK. Thrive Market – Membership community that uses the power of direct buying to deliver the world’s best healthy food and natural products at wholesale prices. Stocks a wide variety of products including vegan, dairy free, vegetarian, organic, Paleo, gluten free, etc. Fermented Cabbage – Thirty Acre Farm grows and produces more than 100,000 lbs of lacto fermented sauerkraut, ruby kraut, kimchi, gingered carrots, hot sauce and sour dill pickles that are rich in nutrients, promote the growth of beneficial probiotics, improve digestion, and boost the immune system. Pique Tea Crystals – These cold brew tea crystals provide clean, sustained energy and six times the antioxidants of regular tea bags. Plus, they are very convenient for traveling as they come in packets and many can be brewed in hot or cold water. Dandy Blend – Instant herbal beverage with dandelion; gluten and caffeine free and a healthy alternative to coffee with no withdrawal symptoms. Organic Creamed Coconut – Wonderful in smoothies and for making coconut yogurt and is the chef’s choice for soups and stews. It replaces dairy and coconut milk in sauces, curries, smoothies and more. Chia Seeds – Chia seeds are great in yogurt, oatmeal, baked goods and smoothies. They can also be added to sauces. They are an excellent source of omega-3 fatty acids, are rich in antioxidants, and provide fiber, iron, and calcium. Omega-3 fatty acids help raise HDL cholesterol, the “good” cholesterol that protects against heart attack and stroke. Coconut Oil – Nutiva Organic, cold-pressed, unrefined, virgin coconut oil is made from non-GMO, sustainably farmed coconuts. An ideal addition to paleo, ketogenic, and gluten free diets, it has natural moisturizing and deep conditioning properties, making it an invaluable part of every body care regimen. Paleo Wraps – A convenient, tortilla alternative for your Paleo diet that is gluten free, grain free, corn free, soy free, dairy free, and egg free. These wraps are made with organic prebiotic fiber and other amazing ingredients that promote optimal health and help to curb appetite and improve digestion without bloating. Maca Powder – An amazing superfood that can provide energy, endurance and strength. Good for immunity and vitality, it is high in linoleic, palmitic and oleic acid. Maca powder contains calcium, magnesium, phosphorus, and potassium; and is also a good source of trace minerals, vitamins and amino acids. Use it in smoothies or mix it into teas, nut milks, coffee, protein drinks or any other beverage. Camu Camu Powder – The Camu Camu berry is an amazing super-fruit and contains more vitamin C than any other known botanical source. It is great in smoothies and sauces. Tanka Bars – Apple Orange Peel – Gluten-free, hormone free and low-fat, Tanka Bars are deliciously perfect for every diet. I love this buffalo bar, which contains cranberries, apple and orange peel. Tanka Bars – Cranberry – If you’re a fan of cranberries, you’ll love the cranberry and buffalo Tanka Bars. They’re free of gluten, nitrites, MSG, hormones, dairy and are perfect for travelling. 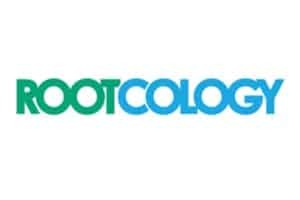 Coco Biotic – by Body Ecology, is a powerful liquid source of probiotics that is organic, non-GMO and made with all-natural ingredients to help leaky gut and improve digestive health. Mushroom Coffee Mix – Same great taste as coffee which supports productivity and provides antioxidants but without the jitters, crashing, or stomach issues as with regular coffee products. Our modern world exposes us to an increasingly large number of toxins every day. We inhale toxins through the air we breathe, absorb them through our skin when we use personal care products, and ingest them when we eat foods that have been steeped in pesticides. People with Hashimoto’s often have an impaired ability to handle all these toxins, resulting from a genetic predisposition to be less efficient at detoxification, nutrient deficiencies, an overburdened system, or excessive exposure to toxins. All of these can compromise the body’s natural detox pathways. In general, people who develop autoimmune diseases are more sensitive to toxins in the environment. AquaTru Reverse Osmosis Filter – Fluoride has been shown to have a negative impact on thyroid function. That’s why I recommend Reverse Osmosis Filters, one of the few filter types that remove fluoride from our water supply. My favorite water filter is the new countertop AquaTru Reverse Osmosis Filter. I’ve set up a special discount for Thyroid Pharmacist Readers to get a discount when they visit this link. 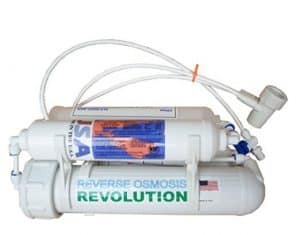 The Reverse Osmosis Revolution is a 4-stage Portable Reverse Osmosis RO Revolution Water Purification System that easily attaches to your kitchen faucet and is for people who use tap water to drink, cook and make tea and coffee, but don’t want added fluoride, which contributes to thyroid suppression! 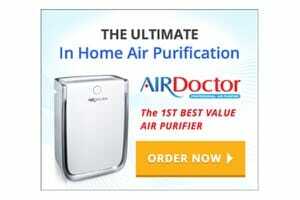 AIR Doctor – A home air purifier is great for clearing out airborne toxins in the air you breathe every day. AIR Doctor is the first affordable air purifier that not only removes almost 100% of particles (pollen, dust, pet dander, mold spores and smoke) but also the vast majority of toxic ozone, volatile organic chemicals and gases. 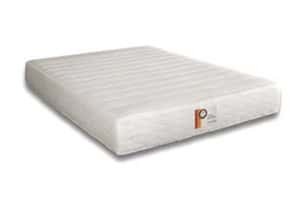 Sweet Dreams Mattresses – Most mattresses contain PBDE based flame retardants – a toxin that is connected to an increased incidence of Hashimoto’s and can trigger or accelerate the condition. I love the Sweet Dreams Latex and Organic Mattress because it’s PBDE free, dust mite resistant and anti-microbial and made with natural materials like botanical latex, organic cotton, and natural wool. 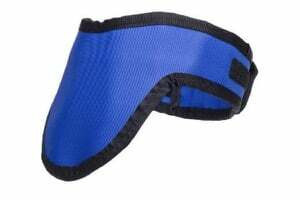 Thyroid Shield – Low doses of radiation can contribute to thyroid disease including cancer, so you may want to consider using a thyroid shield when getting medical or dental x-rays. 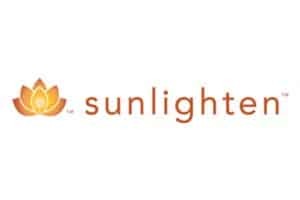 Sunlighten Saunas – Sweating is an excellent way to lower your body’s toxic burden. As people with hypothyroidism usually have a lower body temperature, they often need to make an extra effort to sweat. This can be done at a quicker rate (and in the comfort of your home!) with the use of infrared saunas like this one by Sunlighten. Taking artificial hormones in the form of birth control can lead to hormonal imbalances and nutrient depletion, including a lowered level of free thyroid hormone. Some women may want to opt for hormone-free alternatives for family planning purposes. Taking Charge of Your Fertility – I highly recommend this book which gives an amazingly descriptive and thorough overview of the Fertility Awareness Method for pregnancy prevention and achievement. After reading this book cover to cover, I have purchased a copy for all of my girlfriends! Lady Comp – This is a mini computer/alarm system that comes with an ultra-sensitive thermometer. This device learns your own body’s normal temperatures and does the analysis for you, letting you know which days you are fertile with easy to read displays (red light—fertile, green light—infertile). Daysy – Daysy is a fertility monitor that uses the fertility awareness method (FAM) by learning and tracking your menstrual cycle. It shows you the days you are fertile or not with an accuracy of 99.3%. Nano Towel – Nano Towels save you money and also the environment by ending your need of expensive paper towels. Made of Nanolon fiber, a unique material that is much finer than human hair, these towels capture liquid, dust, dirt, and grime like a magnet, with just water – without the use of toxic chemicals! Puracy Natural Liquid Dish Soap – Liquid dish soap often contains toxic chemicals, but Puracy Natural dish soap is an exception! 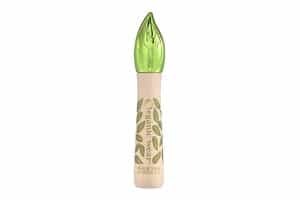 It contains ingredients sourced from plants, minerals, water, and a hint of fresh green tea and lime, and is free of sulfates, triclosan, parabens, petrochemicals, animal by-products, toxins, perfumes, and caustic ingredients that dry out and damage your skin. Our personal care items are unfortunately a frequent source of toxicity for our bodies. Triclosan (in antibacterial soaps and toothpastes), fluoride (in water and toothpaste), parabens, phthalates (in lotions and makeup), heavy metals (in makeup products and antiperspirants) are just some of the ingredients that have been found to have thyroid and hormone disrupting properties. You can check out the Environmental Working Group (EWG) database for information on how your products stack up. 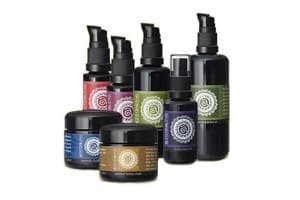 Annmarie Gianni Skin Care – A line of natural skin care products that you can trust because they use only herbs and extracts straight from nature in their purest form. Spa Doctor – Natural skin care system with products and programs to help you achieve glowing skin and vibrant health at any age. 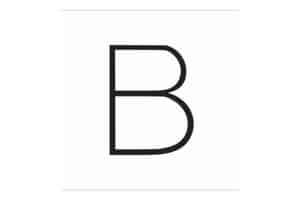 Beautycounter – Safe and toxic-free makeup, skincare and bath and body products without the harmful chemicals found elsewhere. Energizing Lotion – Body lotion that restores brightness and rejuvenates your spirits. Unscented Lotion – Unscented body lotion that is vegan, sulfate free, paraben free and cruelty free. Leave in Conditioner – Leave-in hair conditioner with argan oil and argan extract, for all hair types. Moisturizing Shampoo – Natural ingredients that leave hair soft, for even the most dry and damaged hair. Clarifying Shampoo – Gentle enough to use every day and made with organic argan oil, argan extract, organic avocado oil, and lemongrass. 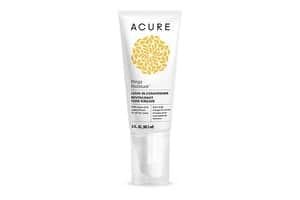 Moisturizing Conditioner – Made with argan oil and pumpkin seed oil that provides moisture to dry and damaged hair, leaving it soft and manageable. 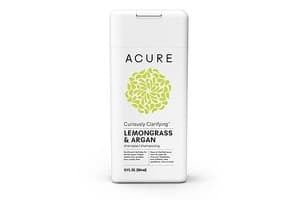 Clarifying Conditioner – Daily nourishing conditioner that provides vital moisture to combat everyday tangles and buildup. 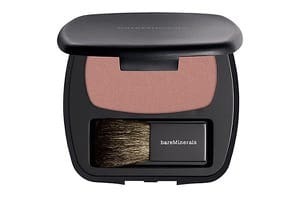 Blush – Long-wearing blush that’s blended with antioxidants and cold-pressed camellia oil for anti-aging benefits. 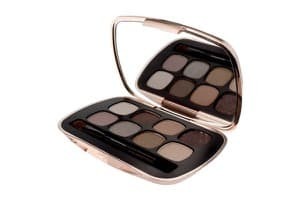 Eyeshadow – Provides vivid color with seamless blend ability and skin-nourishing benefits that lasts up to 12 hours. 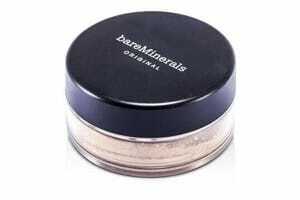 Foundation – Creamy, rich foundation with SPF 15. Mascara – Organic, natural mascara made with the purest ingredients and 100% free of toxic chemicals. 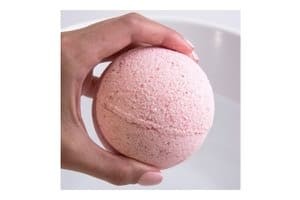 Bath bombs – Six essential oil blends to treat your senses and made with 100% natural and organic ingredients. 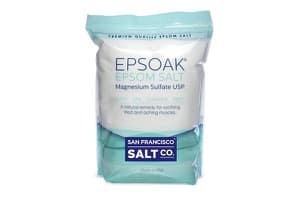 Epsom Salts – Known for its premium quality and many therapeutic uses, soaking in an Epsom Salt bath is one of the most effective means of making the magnesium your body needs readily available. 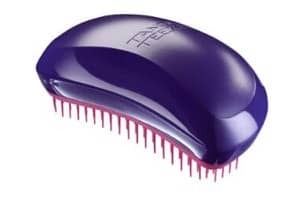 Tangle Teezer – While hair brushes are not exactly known to be toxic, people with thyroid conditions often struggle with tangled hair when their thyroid hormones get out of balance. The Tangle Teezer brush is an awesome tool that helps to get the tangles out without causing unnecessary hair loss. An accumulation of toxic buildup over time can result in an overburdened detoxification system leading to symptoms such as fatigue, brain fog, inflammation, multiple chemical sensitivities, and skin breakouts. Supporting the liver’s detoxification pathways may lower the toxic burden and aid in a reduction of symptoms. 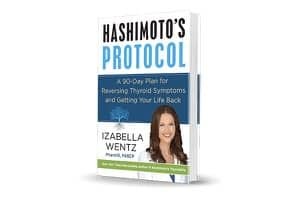 If you’ve read Hashimoto’s Protocol, you’ll know that following my recommended Liver Support Protocol can help a person feel better in as little as two weeks! MTHFR Pathways – Some individuals with Hashimoto’s may have a variation in the MTHFR gene that prevents them from properly activating folate, an important substance needed for detoxification pathways. You can support your methylation pathways by taking this supplement, which contains activated B6 (as riboflavin-5’-phosphate), activated folate, and B12 as methylcobalamin and trimethylglycine, which breaks down homocysteine. Those with the MTHFR gene mutation will likely benefit from long-term supplementation. 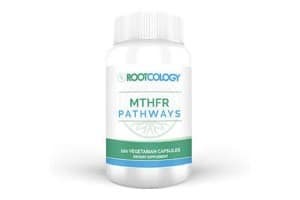 MTHFR Pathways also maintains a healthy homocysteine pathway to support detoxification, healthy immune function, brain, and cardiovascular health. 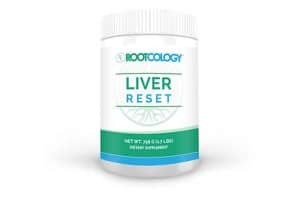 Liver Reset – Liver Reset includes the amino acids, nutrients and herbs needed to support the phase I and II metabolic pathways of the liver. It also balances high levels of antioxidants for safe detoxification and promotes healthy liver function and elimination. Liver & Gallbladder Support – An impaired liver and gallbladder may result in fat malabsorption, which may result in greasy, floating, or light-colored stools, gas or belching, dry skin, gallbladder pain, gallstones, gallbladder removal, nausea, hormonal imbalances, and vitamin A, D, E or K deficiencies. 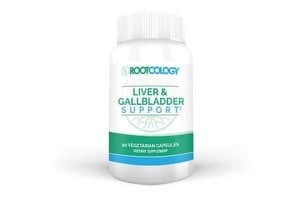 Liver & Gallbladder Support is designed to support bile flow for the normal processing and elimination of toxins through its specific combination of nutrients and herbs. By supporting liver and gallbladder function, it aids the elimination of fatty substances from the liver and the digestion and assimilation of fats and fat-soluble vitamins. Amino Support – Amino Support is useful for preparing the liver for phase II detoxification. Providing nutritional support for phase II detoxification helps conjugate toxins and prepare them for safe elimination from the body. Pure N-Acetyl Cysteine – Pure N-Acetyl Cysteine is an amino acid that is a precursor to glutathione, the body’s most powerful antioxidant, and helps promote optimal detoxification. Research has shown that people with Hashimoto’s disease have lower levels of glutathione. I have found NAC to be such an important supplement for those with Hashimoto’s that I developed my own version and recommend it to those looking to support their thyroid function and healthy antibody levels. It is also beneficial for protection against normal exposure to heavy metals. Curcumin Absorb – Curcumin, the active ingredient in turmeric, is great for detoxifying various metals and toxins. Turmeric powder has anti-inflammatory, detoxifying, antioxidant, antibacterial, and antiviral properties. Typically, the effects of curcumin only last about an hour in the body, but I’ve found that combining curcumin with piperine, an alkaloid found in pepper, will keep it in the body longer. I recommend this highly bioavailable curcuminoid formulation to support the liver and inflammatory pathways. Magnesium – Magnesium deficiency is a common deficiency reported in the general population, as well as in people with Hashimoto’s. Symptoms of magnesium deficiency may include headaches, constipation, irritability, insomnia, anxiety, menstrual cramps, leg cramps and pain.. Magnesium Citrate Powder by Rootcology addresses magnesium and supports the relaxation of our bowels, mind and body. Additionally, when taken with the rest of the Liver Support Protocol, magnesium can lessen symptoms and improve outcomes. Up to 90 percent of individuals with Hashimoto’s have some degree of adrenal dysfunction, which may be due to nutrient depletion, stress, miscommunication of the adrenal and pituitary glands, hormonal downregulation, or in rare cases, an autoimmune attack on the adrenals. I suggest getting your adrenals tested with an Adrenal Saliva test, like the BioHealth HPA Stress Profile, which is available through functional medicine practitioners or can be self-ordered. My Fundamental Adrenal Recovery Protocol found in Hashimoto’s Protocol is a broad spectrum protocol focusing on the fundamentals of caring for the adrenals. Adrenal supplements that I recommend include ABC blends of Adrenal Support, Selenium, thiamine and magnesium. Adrenal Support – I developed the Rootcology Adrenal Support to help you support the adrenals.. This is a blend of the ABC’s in one formula: adrenal adaptogens, B vitamins, and vitamin C. This supplement is designed to promote healthy cortisol levels, hypothalamic and pituitary function (HPTA axis), and catecholamine production (dopamine, norepinephrine, and epinephrine). Daily Stress Formula – This blend of adaptogenic herbs, vitamins, minerals, and amino acids is designed to support the adrenals and provide powerful defense from the mental and physical factors associated with occasional stress. The formula synergistically supports mental relaxation while counteracting the metabolic effects of occasional stress as well, and is recommended throughout the Adrenal Protocol. 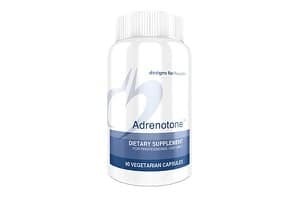 Adrenotone – A combination of standardized adaptogenic herbs and nutrients which are known to contribute to rejuvenating the adrenals. This product is designed to help support healthy cortisol levels, hypothalamic and pituitary function (HPTA axis), and catecholamine production (dopamine, norepinephrine, and epinephrine). B Complex Plus – B vitamins play an important role in cell metabolism, thyroid function, and adrenal function. They become depleted in stressful situations that often precede the development of autoimmunity. Four especially important B vitamins are pantothenic acid (B5), thiamine or benfotiamine (B1), biotin (B7), and cobalamin (B12). This exceptional combination of B vitamins, including vitamins B1, B2, B3, B5, B6, B12, biotin, and folate (as MetafolinL-5-MTHF) should be helpful for most people with low energy levels. B vitamins are water-soluble vitamins and do not build up in the body, so the risk for toxicity is almost nonexistent. 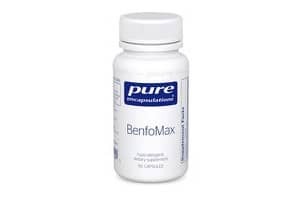 BenfoMax – Thiamine is one of the B vitamins, known as B1. It has the important roles of converting carbohydrates into energy and aiding with the digestion of proteins and fats. Thiamine is required for proper release of hydrochloric acid in our stomachs, which is needed for proper protein digestion. Most people with Hashimoto’s have little or no stomach acid. Thiamine also supports blood sugar function, adrenals, and can boost our energy levels. The latest research suggests that mild deficiency may exist in people with autoimmune disease and related malabsorption. If you’ve been struggling with fatigue, low stomach acid, carbohydrate intolerance, low blood pressure, and your adrenals, you may benefit from up to 600 mg of thiamine a day. 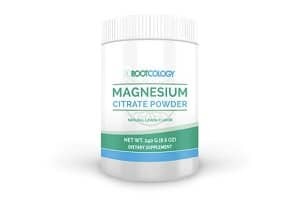 Magnesium Citrate – As magnesium is depleted by stress and is often difficult to obtain from foods, most people will benefit from long-term supplementation. As mentioned above, it is also excellent for promoting relaxation. Vitamin C – Vitamin C is an essential vitamin for supporting adrenal function. I recommend doses of 500 mg to 3,000 mg per day, as tolerated. Selenium – Selenium deficiency has widely been recognized as an environmental trigger for Hashimoto’s. Selenium plays a very important role in thyroid function, acting as catalyst to convert the inactive T4 to the biologically active T3, and protecting thyroid cells from oxidative damage that occurs during the production of thyroid hormones. Selenium deficiency can occur when we have gut issues because of malabsorption from damage to the small intestine. Supplemental selenium has been found to reduce Hashimoto’s antibodies and symptoms, improve Graves’ disease health outcomes, and reduce the incidence of postpartum thyroiditis when taken during pregnancy. In my experience, a dose of 200 to 400 mcg per day of selenium methionine can help most people with Hashimoto’s feel better. Functional medicine tells us that the gut is at the center of autoimmune disease. What many people don’t realize, however, is that the gut isn’t just the stomach and intestines, but also the mouth, and especially the teeth and gums. Abscesses, infection, root canals, dental surgery, dental X-rays, fluoridation procedures, and amalgam fillings, are all possible igniters of autoimmune disease. Many times, dental triggers can be as important, if not more important, than even nutrition and hormones in our healing journeys! 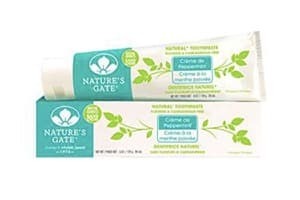 Nature’s Gate Natural Toothpaste – Nature’s Gate Natural Toothpaste, Creme de Peppermint, contains natural ingredients including peppermint oil and baking soda, plus an abundance of free calcium, a natural strengthening component of teeth that helps remove plaque. Combined, they will gently and naturally clean teeth. 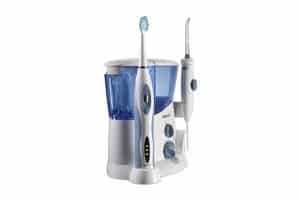 Complete Care Water Flosser and Sonic Toothbrush – Waterpiks, like this one, may be helpful in displacing pathogenic bacteria, allowing for their removal. 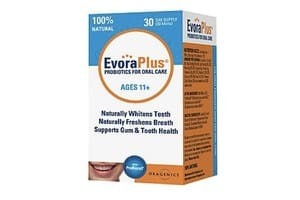 Evora Mints – Oral probiotics are an accelerated way of getting beneficial bacteria into our mouths, to displace pathogenic bacteria and reduce inflammation in the mouth. 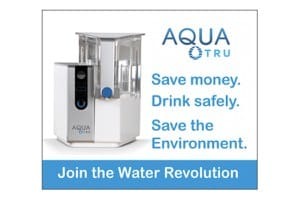 AquaTru – The AquaTru Countertop Water Filter is the most convenient and cost-effective reverse osmosis water filter that I have found. It’s super easy to set up (no plumber required! ), and I love knowing that I have access to clean drinking water right in my home. 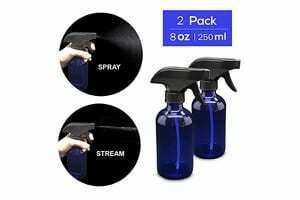 Thick glass spray bottles – These bottles are great for dental application of xylitol. 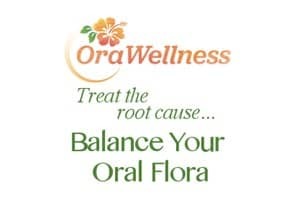 Ora Wellness – provides simple, natural solutions to painful, discouraging oral problems by bringing the organic healing power of nature to more people everyday. When used in low doses, the medication naltrexone (LDN) can have immune balancing effects. Up to 40% of people with Hashimoto’s report seeing improvements such as remission of symptoms, remission of the condition and reduced antibodies using LDN. You can learn more about this medication in my article on LDN. To keep track of your progress with the medication, you can download the free LDN Health Tracker App. I receive so many emails each day, with important questions from readers and clients who are excited to take back their health but are looking for further guidance. Over the years, I’ve complied the most frequently asked questions and my answers to those questions, so that I can share this valuable information, not just with those whole email me, but with everyone looking to be more empowered on their journey. For answers to hundreds of the most common questions, please visit my Frequently Asked Questions page. The Institute For Functional Medicine – training and certifications for healthcare professionals on the fundamentals of functional medicine. The IFM is a research based organization that establishes an evidenced-based approach to chronic illness. I love attending the meetings to learn about the latest advances in functional medicine as well as to network with the innovative attendees. The Kalish Institute – an online certification offered to healthcare professionals who are looking to deepen their understanding of lab tests, and want clinical guidelines and specific protocols for supporting people with chronic illness. Functional Medicine University – Functional Medicine University is an comprehensive, online Functional Medicine Training Program and a nationally recognized leader in functional medicine education for health care professionals and CEUs. Reframe Nutrition – acclaimed Functional Medicine Nutritionist, Andrea Nakayama’s special course on how to use the Functional Nutrition Matrix—the #1 Tool in Functional Nutrition—to make any practice truly functional. Functional Medicine Coaching Academy – If you’re looking to switch careers into functional medicine, consider becoming a functional medicine coach. The Institute for the Psychology of Eating – If you’re looking to become a coach who helps people address their food related issues, IPE offers the deepest level of understanding for overcoming food related concerns. Institute for Integrative Nutrition – The largest nutrition school in the world, Integrative Nutrition provides an innovative online learning platform and global learning experience in over 150 countries worldwide. I often receive questions about setting up a virtual clinic from health care professionals. For scheduling new clients and payments, I use Acuity Scheduling. This tool accounts for time zones, integrates with my calendar and sends the client email reminders about our upcoming appointments. Acuity Scheduling can be tailored to collect visit payments and integrates with Stripe and Paypal. IntakeQ provides a HIPPA-compliant, customizable intake form that allows us to collect client health information, consent forms and labs. Fullscript is an online dispensary tool for supplements. As a pharmacist, I love this tool because it allows me to send specific recommendations to clients that are inclusive of the name, brand, dosage and instructions for each recommendation. The clients also have an option to order the supplements through my dispensary to be shipped to their homes. This tool is a wonderful option to ensure clients are receiving the correct supplements and to minimize potential for errors! Plus, you do not need to carry the supplements in your clinic! I also use this tool to write up notes for the clients. When clients require blood tests, I refer them to Ulta Lab for self-ordering options. A wonderful benefit of this portal is that the patient can often submit the receipts for reimbursement to their insurance. (I always advise checking with their individual insurance company before ordering, of course). You can set up your own “customized” channel with the specific labs you want to have for your clients by using this link. I also use DirectLabs.com and Mymedlab.com for functional medicine tests that require the use of in-home test kits such as stool testing, food sensitivity testing or adrenal saliva tests. Lastly, people often reach out to me about advice about publishing books! If you’re thinking about self-publishing, I recommend Self Publishing School and CreateSpace. If you’re looking for a traditional publisher, I highly recommend Harper One.